Extra taxes and penalties apply to non-qualified 529 plan distributions. 3. How Does a Distribution From a 529 Plan Get Reported? A 529 plan offers tax-sheltered growth for college savings. The plans are offered by states and either allow you to buy future education credits at particular schools or invest money which you can then use at any school. The taxes and penalties on 529 plan distributions depend on how the money is used, not when the distribution is taken. Unlike many retirement accounts, the timing of distributions from 529 plans is not the primary factor in determining whether it's a qualified distribution. Instead, qualified distributions depend on how the money is used after withdrawal. If you use the money for qualified higher education expenses, which include tuition, fees and books, it's a qualified distribution. Room and board also counts as a qualified expense if the student enrolls at least half-time. However, if you use the money for anything else, it's a non-qualified distribution. If you take a non-qualified distribution from a 529 plan, you'll have to pay taxes on the portion of the distribution that represents earnings. For example, if you put $15,000 into the 529 plan and it's grown to $24,000, 62.5 percent of your distributions are contributions, which come out tax-free. However, the remaining 37.5 percent would be taxable. If you took out $10,000 and didn't use it for qualified expenses, you'd have to include the $3,750 of earnings in your taxable income. The earnings portion of non-qualified distributions are also subject to an additional 10 percent tax on top of income taxes. For example, if your non-qualified distribution includes $3,750 of earnings, you'll owe an additional $375 in tax penalties on the distribution. 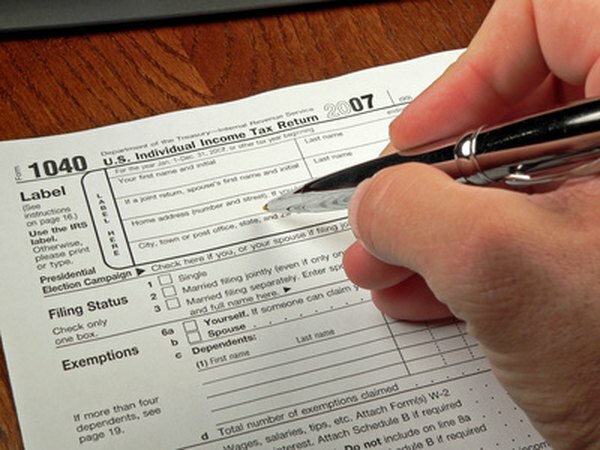 When filing your taxes, you must figure this additional tax penalty with Form 5329, Part II, and you must file your taxes with Form 1040. You can avoid the additional tax penalty on your distribution if you qualify for an exception. The entire penalty is forgiven if you take the distributions because the original beneficiary died, because you became permanently disabled or because you attended a U.S. military academy. You also avoid the penalty on the amount of the distribution that was taken out that does not exceed tax-free assistance, such as scholarships. For example, if you receive a $10,000 scholarship, you avoid the 10 percent penalty, but not the income taxes, on a distribution of up to $10,000. Are Tax-Free Education Accounts Right for You?